I often hear people referring to OCD as little quirky personality trait, or something that apparently just adds a bit of pzazz into their lives. What they don’t know is that OCD is a far from fun or quirky personality trait. It’s a debilitating mental health condition that can seriously affect so many people’s lives. Being petrified that you’re going to give someone a life threatening disease just through your own thoughts isn’t fun. Taking over an hour to allow yourself to climb into bed because your thoughts are in turmoil over whether you counted enough times to ensure your families safety, isn’t a little quirky personality trait. A quirk and OCD are two very different things. I see it like this; a quirk adds something to your personality. Everyone has quirks, it’s what makes us who we are. If we didn’t, the world would probably be a very boring place. They don’t cause you too much significant distress, and they don’t hinder you from completing simple everyday tasks that makes life tick by. They’re manageable. Quirks are also often things people are quite open to talking about; they do not feel ashamed about sharing them and they’re not expecting huge backlash when being open. Whereas OCD, on the other hand, takes away things from your life. Such as your personality, your ability to function, or absolutely anything to be honest. OCD is not a one area specific disorder; it can impact any part of your life. It is not something you want to have and often, people are ashamed of what OCD makes them do, causing people to stay silent and struggle alone. It brings them no satisfaction to be burdened with such fear and unwanted responsibility. People are often afraid of speaking out because of what response they may get. Trying to get others to understand the pain they are going through when, often, all they get back is the trivialised response of, “sameeeee, totally OCD about everything too”, can be very tricky. It can leave people feeling as if they’re over exaggerating and thus just needing to “chill out“, when in actual fact they are suffering from a very legitimate disorder called Obsessive-Compulsive Disorder and that it’s nothing to be ashamed about. However, due to the trivialisation of the disorder being so widely used, many people do not realise this and stay silent for years. So what I ask is that you try to realise how detrimental describing OCD as being a cute personality quirk can be. Words like these only contribute to the long line of stigmatisation’s surrounding OCD, not forgetting other mental illnesses too. OCD should not be used as an adjective. Quirks are totally fine to have, but that doesn’t mean you automatically become “soooo OCD”, when you decide to line your pencils up straight at work. We need to learn how to properly distinguish between the two, so people can identify true signs of OCD and then feeling able to get the appropriate help if needed. That is something I hope to build on and improve over time within the whole of society, but for now I hope this small snippet in the campaign has cleared up any discrepancies between people’s views on the actual difference between a quirk and OCD, because there’s a difference. A big difference. Yes, there is, indeed, a BIG difference. 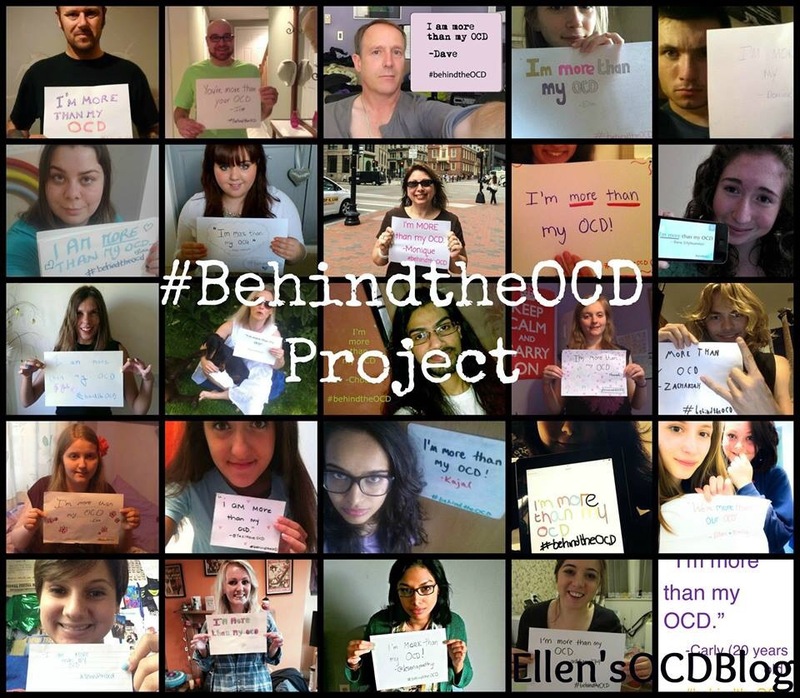 Please, Ellen, continue debunking all those myths that surround OCD. You’re absolutely worth being listened to. Thanks for posting this! It bothers me too when folks use OCD as an adjective. I don’t think people understand that the “quirk” is a response to intense anxiety in a person with OCD, and that the looping can very much get in the way of daily life. It’s way more than a propensity for liking things a certain way. My OCD has always been a very private thing – I tell people freely, but I don’t want them to see me do it because I’m afraid they won’t really understand. Quirks add to your life. OCD takes away from your life. I like how you put that and would add that quirks might make you YOU while OCD makes you NOT yourself. Another great post! OCD is a crippling, terrifying mental illness. It hit me at 13 and I kept it to myself until I was 21 and had an emotional breakdown and was hospitalized. I had the insidious awful thoughts on a loop kind, so it wasn’t apparent. To call it a quirk is to miss the mark by a mile. Keep up the fine and important work you’re doing. Ellen, you are amazing. My son and I have suffered for 11 years now. We have lost our lives. OCD is as bad as ALS and Alzheimers combined. It is horrifying.